CalderaCare is the support and maintenance solution for your Caldera RIP software, that will keep your production up and running when you need it most. Whatever the issue, our team of technical experts will be on hand – and a subscription to CalderaCare also ensures all your software products will be kept up-to-date with the latest versions and enhancements. Not only can CalderaCare provide you with support when you have a problem, but it comes with a range of other user benefits to help you optimize your workflow. When you register a support request, the priority and response times are in accordance with specified guidelines. CalderaCare is your route to direct contact with Caldera experts. Your Caldera software products covered by your CalderaCare subscription, will be continually updated with new features to enhance your workflow, including major upgrades to new versions. Your access to future Caldera upgrades and version releases, helps keep your production capabilities current, and at optimal levels. Each CalderaCare contract includes two Caldera webinars per year. 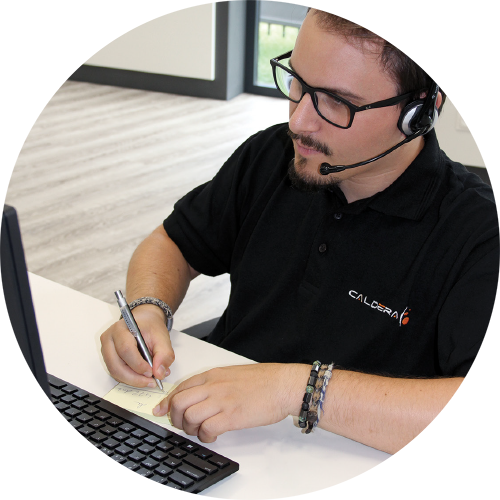 Response times are counted from the start of the creation of a support ticket during the published CalderaCare working hours for your region.